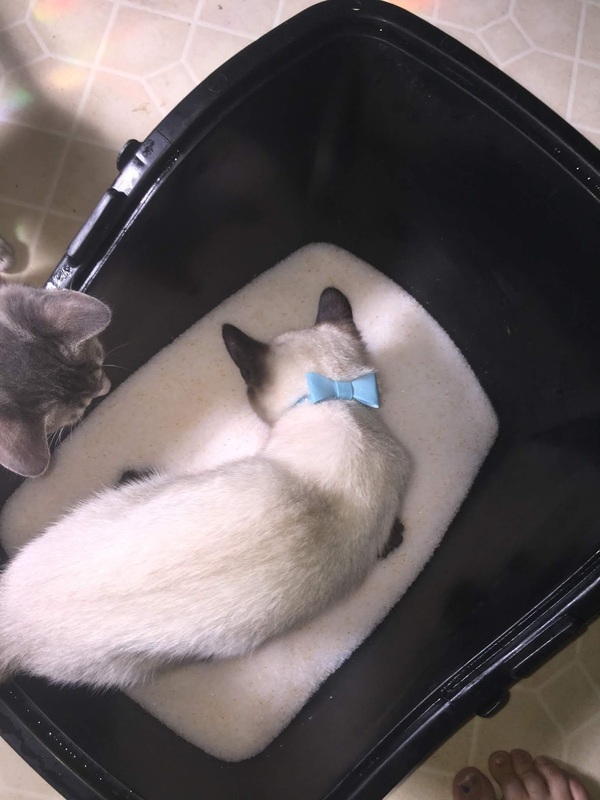 Who knew that litter could monitor your kitties health? Well not just any litter can but Pretty Litter will do just that! I love everything about Pretty Litter. The name! 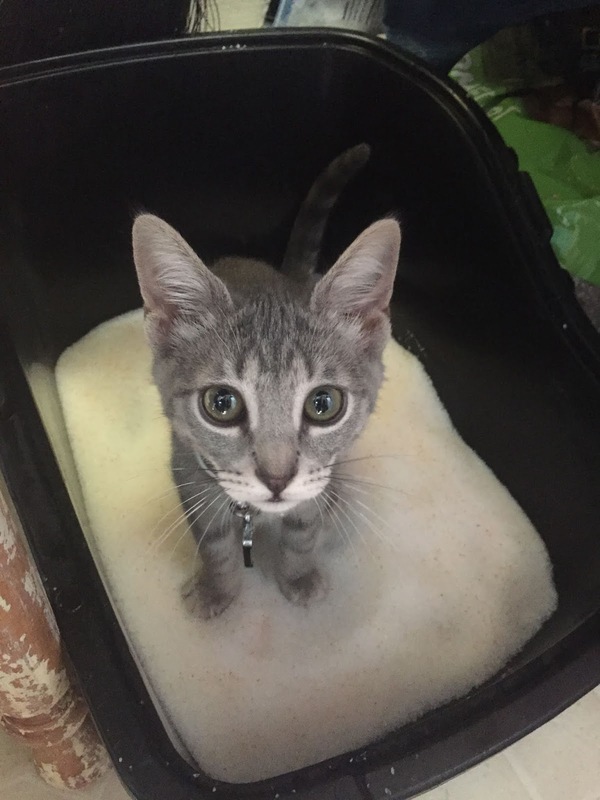 The color of the litter? What it can do and did I mention it is pretty? Yes, I did! 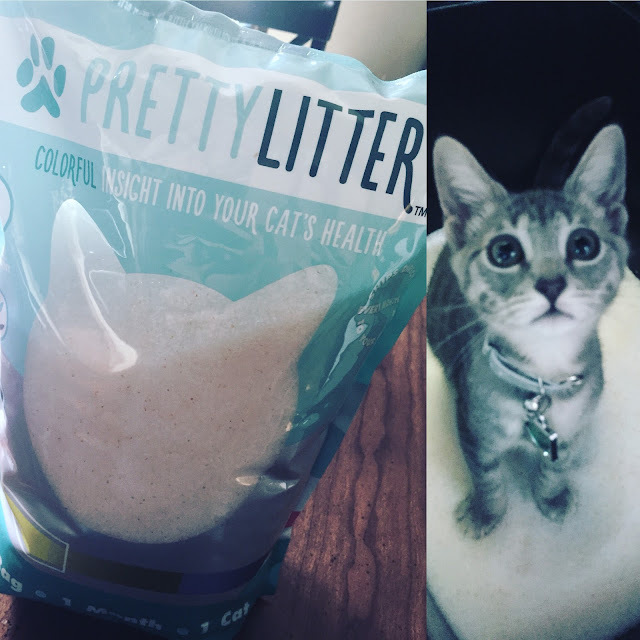 Pretty Litter is white but when your cat pees in the litter box you will get an idea as to whether you need to go to the vet or not. If it is yellow or olive greenish let it mellow but if it is any other color it is suggested to see a vet as your cat may have some serious problems. It doesn't get everywhere. It is very fine and seems to stay off their fur and paw pads more than other litter. 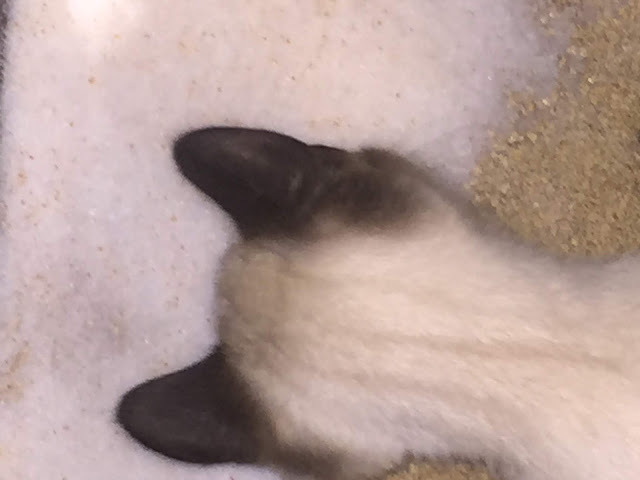 Doesn't clump so there is no scraping huge clumps out of the bottom of the litter box. The litter doesn't clump. I loved being able to scoop out a puck of pee. At first I was like, what? Wait? It doesn't clump? No I just stir it and all is well. I change litter every week anyway so this is not a big deal. The kittens wanted to eat it for the first two days. 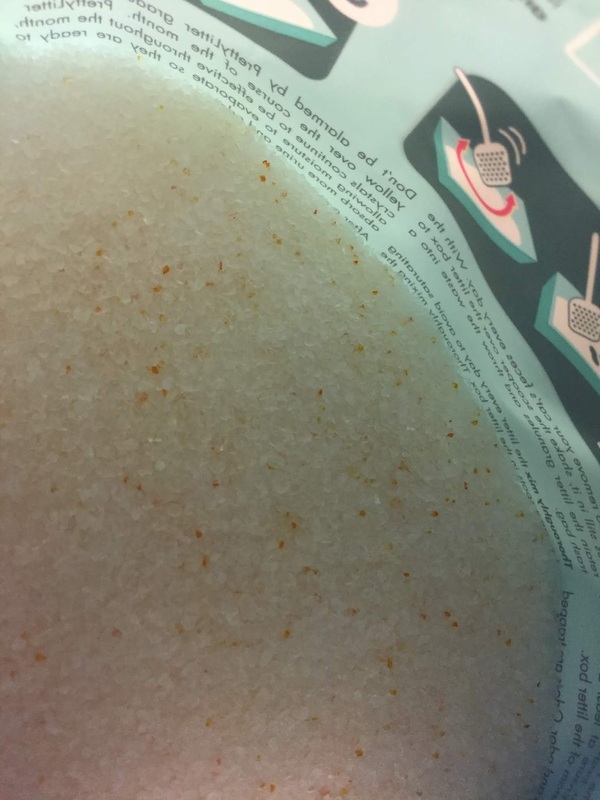 They were constantly chewing bits of it when they used the box. Weird! 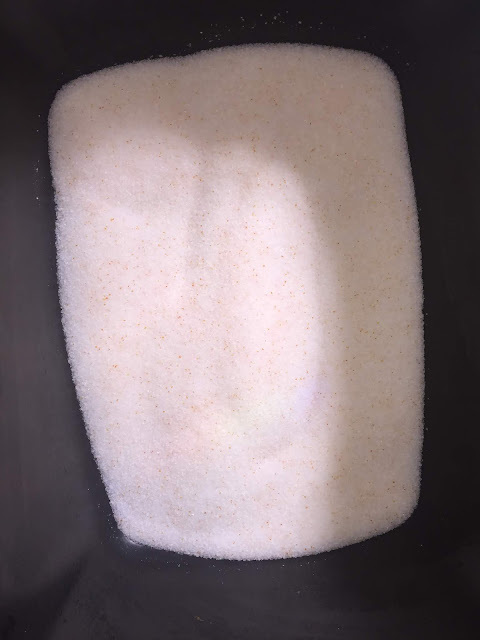 Why it is good to use? It is delivered every month. Just visit their website and get started by entering how many cats you have. Put in your information. It is so easy, affordable and you don't even have to remember to pick it up. Day 2, Pretty Litter only! 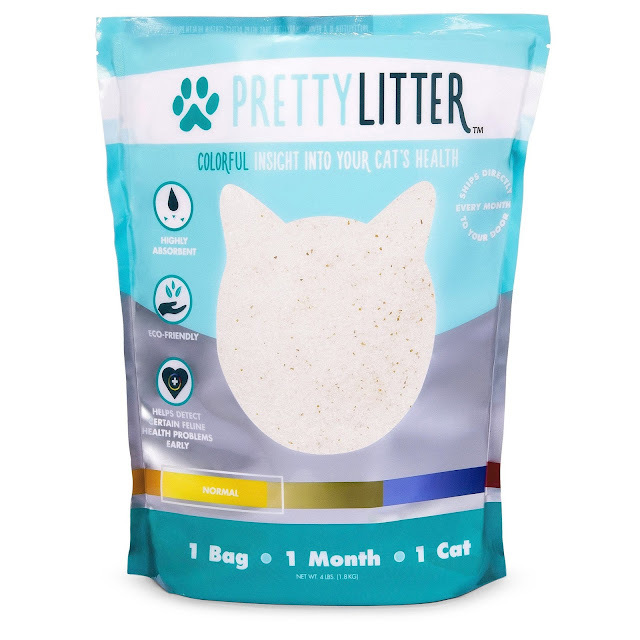 Pretty Litter suggests placing some of the Pretty Litter over your old litter so that your cat can gradually get use to the new litter. I did that but they didn't need more than a day for me to change out the box to full Pretty Litter. Cats are so smart! Use this code to order your bag of Pretty Kitty.